The major US stock indices lost ground on Tuesday as markets digested what turned out to be benign inflation data but reacted negatively to Donald Trump’s firing of Secretary of State Reg Tillerson. The Dow and S&P500 lost around 0.65%, while the tech sector was marked down heavily with the Nasdaq losing more than 1% after the White House Administration blocked a major technology deal on national security grounds. The Dow Jones Transports bucked the trend, lifting 0.48%. In another shake-up of his tumultuous administration, Mr Trump ousted his Secretary of State Rex Tillerson and nominated Mike Pompeo (a staunch trade and foreign policy advocate), a former CIA director, for the role. The sacking of Reg Tillerson comes after a series of public rifts over issues including North Korea and Russia. His aide, Steve Goldstein, the undersecretary of state for public affairs, was also fired, soon after releasing a statement that Tillerson did not know why he was being pushed out. The political developments overshadowed earlier positive consumer price data which revealed that growth had slowed in February. Political uncertainty and White House shenanigans overshadowed a positive data read on inflation. President Donald Trump chose to block the $117 billion mega-takeover of Qualcomm by Singapore’s Broadcom on national security concerns. Qualcomm is widely considered to be ahead of foreign and domestic competitors in the development of 5G technology. The move is unusual in that it was blocked before a final deal had been reached. Qualcomm shares fell 5%. Shares in Microsoft Corp, Facebook and Alphabet all fell between 1.3% and 2.6% but after a 7% rise in the Nasdaq last week, I construe this more as profit taking. Online real estate portal Zillow Group rose another 0.7%, taking its gain over the past 12 months to 60%. Lennar and D.R. Horton were up 0.2% and 1% respectively, while logistics titan FedEx advanced 1.7%. Baidu shares slipped 2.8% as investors took profits after a 25% surge over the past month. Baidu is held in the Global Contrarian Fund. Zillow, Lennar, D.R. Horton and FedEx are holdings in the managed account portfolio. European stocks gained in early trading on the back of some positive corporate reports, but reversed these later in the day to generally close lower. The pan-European Stoxx 600 slipped 0.98% for the day, while the Euro Stoxx 50 index of eurozone blue-chip stocks fell 0.94%. In a day of broad-based selling, Spanish stock exchange play Bolsa y Mercados was up 1.4%, while Spanish bank Caixabank advanced 0.3% and peer Bankia slipped 1.3%. Travel technology company Amadeus added 0.3% and Italian air controller ENAV gained 0.5%. Asian stocks were mixed in trading Tuesday as investors waited on US consumer inflation due later in the day and commodity prices pulled back. 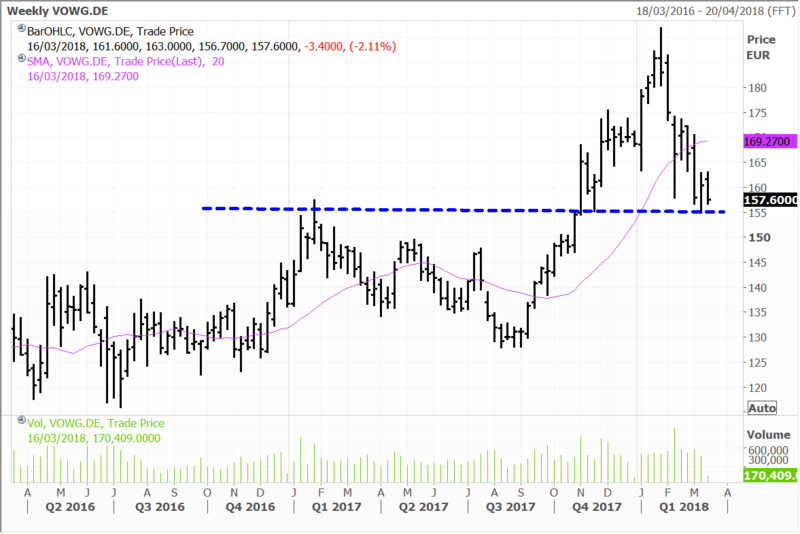 Yesterday however the Nikkei continued to surge for a fourth day in a row, with the Nikkei up 0.66%, led by exporters on a weaker yen, offsetting weaker performances in steelmakers and automakers. 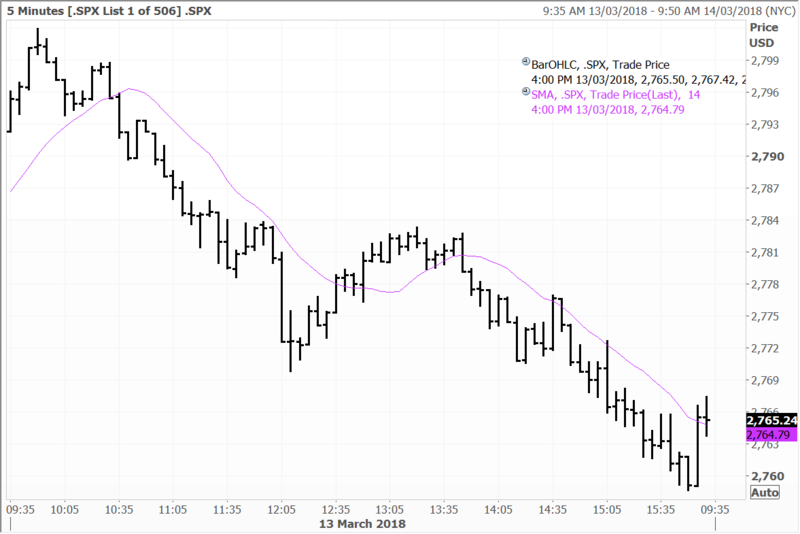 Japanese futures initially rallied to 22000 late on Tuesday on a sharply weaker yen but then lost ground as the dollar sold off later after the Tillerson announcement. Other leaders on Tuesday in Japan included defensive dames such as pharmaceuticals, food companies and utility shares. Eisai gained 2.1%, Ajinomoto added 1.4% and Tokyo Gas was up 2.5%. Sony shares rose 1.1%, while components maker THK tacked on 1.5% and robotics expert Yaskawa Electric surged 3.4%. Video game developer Square Enix gained 2.7%. The big banks, Mizuho, Mitsubishi UFJ and Sumitomo were mixed in trading ranging from losing 0.5% to positive 0.8%. Sony, Mizuho, Mitsubishu UFJ and Sumitomo are held in the Global Contrarian Fund. Yaskawa, THK and Square are holdings in the managed account portfolios. The Shanghai Composite slipped 0.49%, while the benchmark Hong Kong index was effectively flat (+0.02%). Investors in the region were digesting the pending merger of banking and insurance regulators on the mainland to give new powers to policymakers. Authorities in China are tightening control to curb risks in the local financial system. Financial stocks were mixed in trading. China’s cabinet is also going to go through a major reshuffle. China Mobile shares dipped 1.2% in Hong Kong, while oil and gas major CNOOC fell 1.9%. The Macau casino operators generally closed lower, with Sands China falling 1.5%, while Wynn Macau and MGM China both edged down 0.2%. Internet conglomerate Tencent Holdings added 0.6%. CNOOC, MGM, Sands and Wynn Macau are held in the Global Contrarian Fund. Tencent and China Mobile are holdings in the managed account portfolios. Volkswagen shares were flat in trading yesterday even as management announced a major push into electric vehicles at the group’s Annual Media Conference in Berlin. Volkswagen also reported record sales and operating profit for 2017, even after special items linked to the diesel scandal. Under “Roadmap E” Volkswagen has outlined plans for 16 production sites for electric vehicles (EVs) by the end of 2022. The group currently produces EVs at three locations and in two years’ time another nine plants are scheduled to be equipped for this purpose. To ensure adequate battery capacity, deals have been inked in Europe and China and a similar supplier decision will be made in North America shortly. CEO Matthias Müller said, “Over the last few months, we have pulled out all the stops to implement ‘Roadmap E’ with the necessary speed and determination.” When Roadmap E was first announced last fall, Volkswagen announced plans to build up to three million electric vehicles annually by 2025 and market 80 new electric Group models. This year, another nine new vehicles, three of which will be purely electric-powered, have been added to the Group’s electric portfolio of eight e-cars and plug-in hybrids. Despite the billions of euros bled from the outflows linked to the diesel crisis, the company has the resources to implement these plans with net liquidity of €22.4 billion at the end of 2017. In 2017, unit deliveries hit a record 10.7 million globally, up from 10.4 million the prior year. Group sales revenue was a record €230.7 billion, up 6.2%. Operating profit before special items increased €2.4 billion to €17.0 billion. Even after deducting special items linked to the diesel crisis (€3.2 billion), operating profit was a record €13.8 billion, up €6.7 billion from 2016. Volkswagen is held in the managed account portfolios. Disclaimer: The Fat Prophets Global Contrarian Fund declares a holding in Baidu, Caixabank, Bankia, Sony, Mizuho, Mitsubishu UFJ, Sumitomo, CNOOC, Sands China, MGM China, Wynn Macau and Volkswagen.